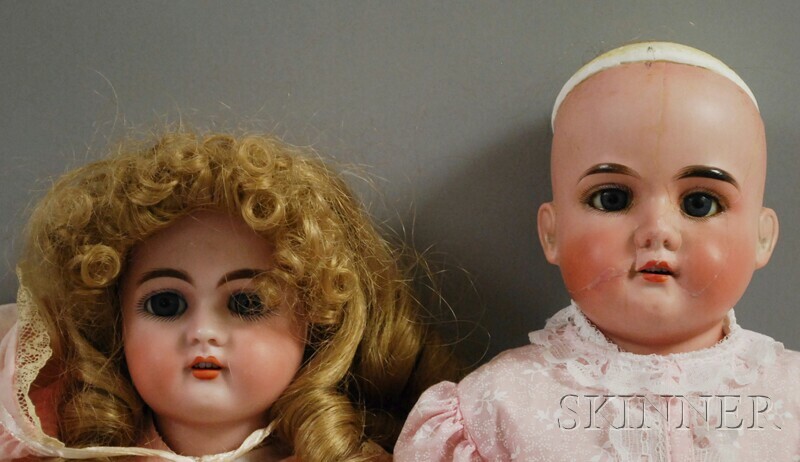 Two German Bisque Socket Head Dolls, Handwerck 79, ht. 17; AM 370, ht. 23 in. Handwerck has breaks across back of head and repainted composition body, AM has cracks on face that have been painted over.